Mom Jeans is a band from California. Their style of music is really unique, a mix of pop-punk and emo melodies resulting in a special sub-genre called “sparkle-punk”. They’ve recently signed on with Side One Dummy records and will be releasing their second full length album this fall. You can follow mom jeans on twitter here @momjeansca. Follow these links to listen to a few of their songs. Waterparks is a band that has recently been making a splash in the scene. They rely on very catchy upbeat pop-punk sounds to create some really great songs. They’ve got a few EPs out and one full length. Their second full length album will release on January 26th. Follow Waterparks @waterparks on Twitter! They’ve already released a few singles from the new album. Be sure to check them out below! I’ve mentioned The Story So Far in a previous blog post but need to again because their newest album should be released sometime this year. There have been no official announcements about a release date since they began recording back in April of 2017, but it’s safe to assume that we can expect the new album to drop in 2018. You can follow The Story So Far @thestorysofarca on Twitter and check out the one single from the album below. 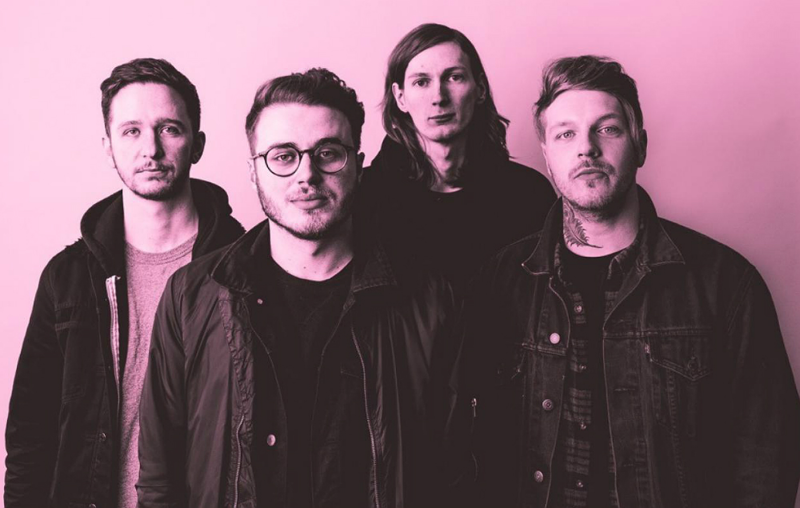 Moose Blood are the modern day’s posterboys of great emo music. They’re releasing their third full length album this year on March 9th. The new album will be titled I Don’t Think I Can Do This Anymore. They’ve released one single off the album so far and have released the sheet music to the song as well. Follow Moose Blood @mooseblooduk on Twitter and check out the single Talk In Your Sleep and its sheet music below. Real Friends are one of the biggest bands in the pop-punk scene at the moment and they’ll be releasing their fourth full length album early this summer. They’ve released one single from the new album so far. It draws its roots heavily from bands like The Starting Line and sounds like we’re in for a real treat when this album finally comes out. You can follow Real Friends @realfriendsband on Twitter and check out the new song Get By below. Those are five of my most anticipated releases for 2018. There’s lots of new music coming out that I didn’t cover and more coming out that I don’t even know about! Know of any music coming out this year that we should keep our ears open to? Let us know on facebook here: https://www.facebook.com/208group/ or tweet us @the208group! Here’s to a rockin’ 2018!